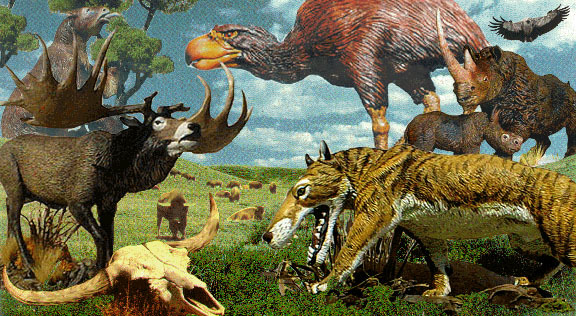 Paleocraft™ is dedicated to creating quality hard to find reproductions of extinct animals in the form of resin models for the hobbyist, model builder and general Paleontology enthusiast. All models are produced from original sculptures and are hand cast in association with professional mold makers. What is a Resin Model? A Resin Model is a replica of an original sculpture reproduced through a process called "cold casting" in which polyurethane resin is poured into a rubber mold and allowed to harden at room temperature. The resin dries to form a cast or multiple casts designed to be assembled and painted by hobbyist, model builders or general paleontology enthusiasts. Paleocraft™ is a division of Area53 Productions©. All resin casts are copyright of Area53 Productions© and may not be reproduced in any form without express written permission. Any reproduction without permission will be considered a violation of federal copyright Law. New! Make an online purchase with Paypal, click this link to sign up free.